Is the City in the Shadow of the Lake? The discussion touches upon the issues connected with the dynamics of Lake Baikal and the efficiency of the current research on the lake, as well as the pollution problem and the ecology of the lake. It outlines the economical aspect in the formation of attitude toward Baikal. The participants of the discussion speak about the role of Irkutsk in preservation of the lake, the mission of Irkutsk, its current state and future development. TKACHEVA, Marina. Is the City in the Shadow of the Lake?. project baikal, Russian Federation, n. 52, p. 78-85, june 2017. ISSN 2309-3072. Available at: <http://projectbaikal.com/index.php/pb/article/view/1170>. Date accessed: 23 apr. 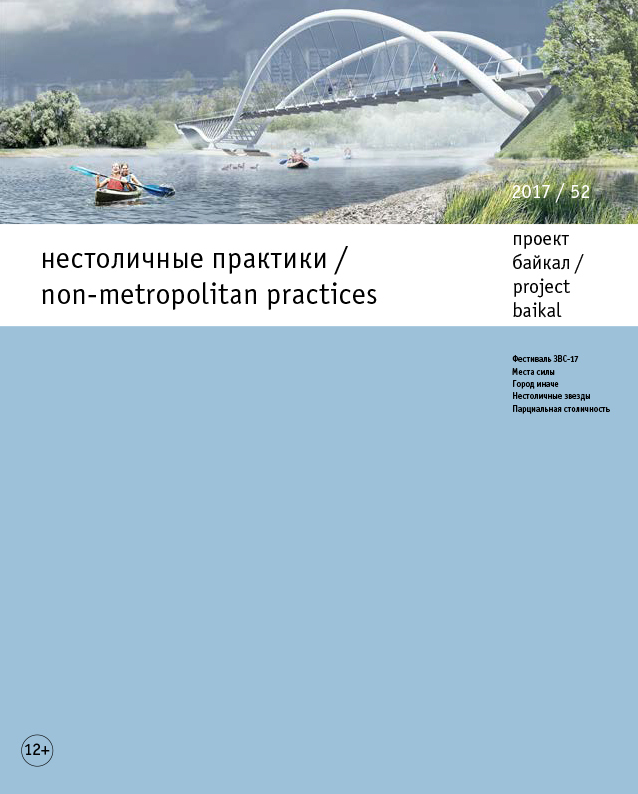 2019. doi: https://doi.org/10.7480/projectbaikal.52.1170.